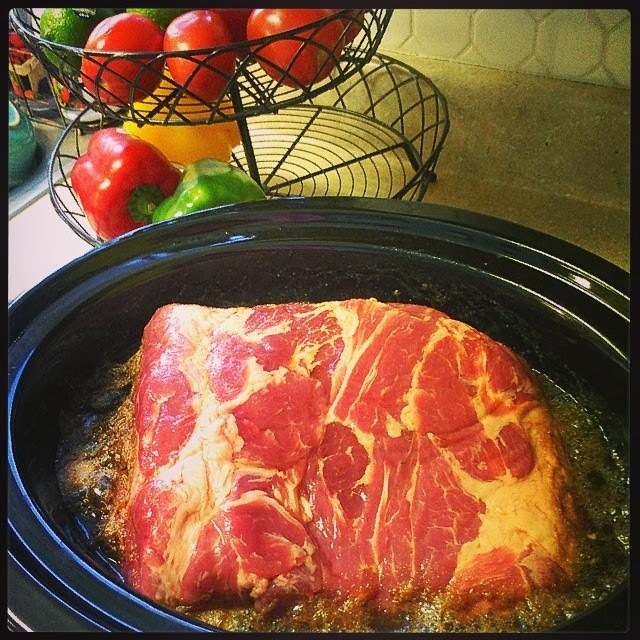 There is nothing like the smell of waking up to Carnitas cooking in the crock pot.... it takes about 12 to18 hours to cook, so I usually start them about 10 pm the night before. they are done when the liquid has evaporated and turned to a nice caramelized texture. place these in Large crock pot and cook on low over night. in the morning place a spoon in lid to vent and let moisture to cook out. watch it as it cooks, when it has mostly evaporated of the liquid, shred meat and remove any bones. keep on warm until dinner. it should have a nice caramelized look to it. prepare corn tortillas by rubbing with oil and frying them in a skillet until cooked, folding like a taco. keep warm while cooking them all. 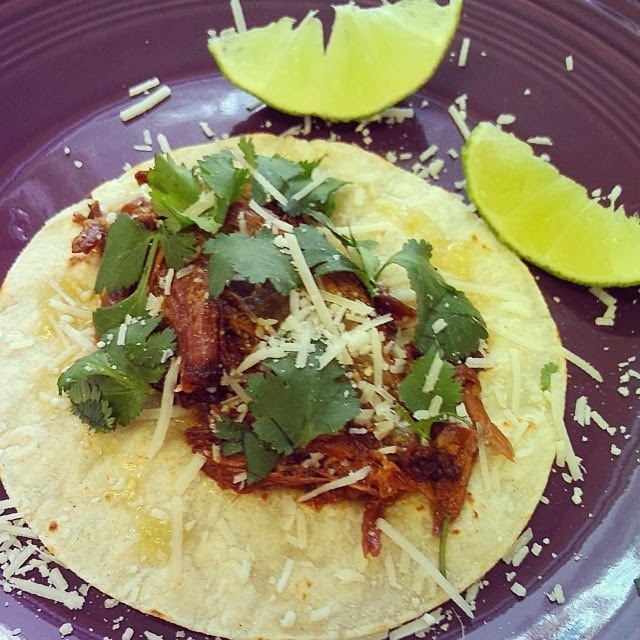 layer the pork, cilantro, parmesian and tomotillo salsa into tortillas. Squeeze lime wedges over the top of it all and eat.... yummy.... you will also need lots of napkins. You can do this ahead of time and freeze the meat, and it will be ready when you have a craving.